Yesterday, the National Venture Capital Association published its fifth overview of the impact of companies backed by venture capital investment in the U.S. economy. The numbers are very interesting and provide data to support my theory that these high-growth startups are playing an increasingly important role in American business. 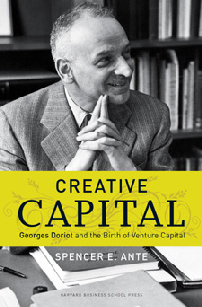 When I wrote Creative Capital, my book about the history of venture capital that was published last year, the 2007 NVCA survey that I cited found that as of the end of 2005 venture-backed companies accounted for 10 million jobs and nearly 17% of gross domestic product. The 2009 survey, which has data up to 2008, reports that venture-backed companies now account for 12 million jobs and 21% of GDP. Click here to see the rest of the post on BusinessWeek’s TechBeat blog and a Scribd embed of the entire NVCA report.